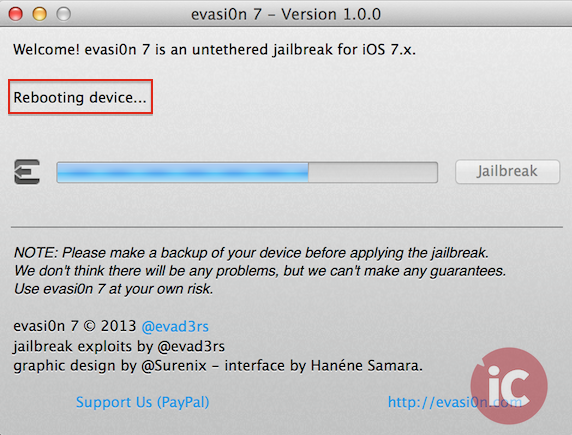 Just moments ago, team @evad3rs unveiled the Evasi0n7 untethered iOS 7 jailbreak for all compatible iPhone, iPod touch, iPad and iPad mini devices running iOS 7.0 through 7.0.4. 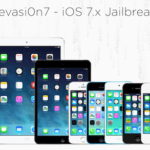 While the tool itself is very easy to use, we’re going to assist you with our step-by-step tutorial on how to jailbreak iOS 7.0, 7.0.1, 7.0.2 or 7.0.4 (7.1 beta1, 7.1 beta2 also supported) untethered on your iOS device using the latest Evasi0n7 tool. 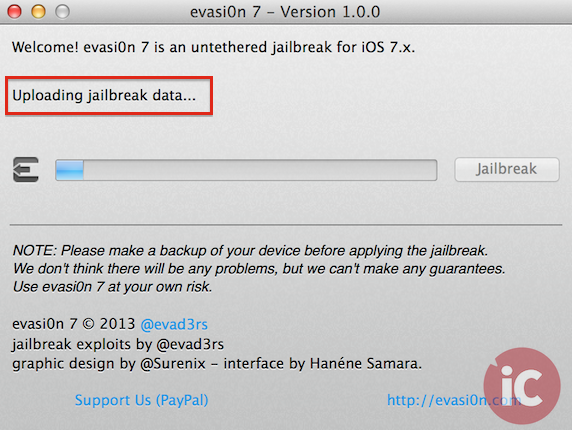 Disclaimer: This jailbreak tutorial is for educational purposes only. 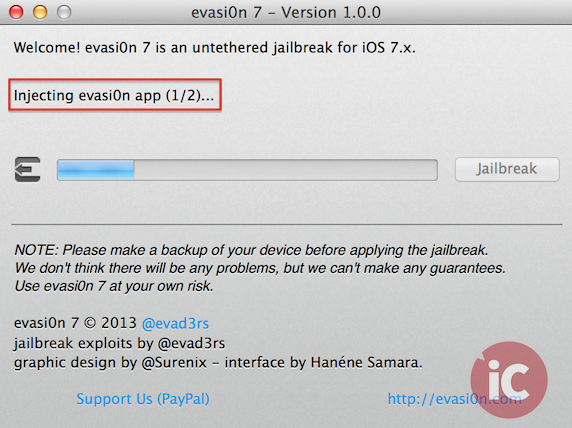 We will not be responsible for any damage caused to your iOS device while following this guide. 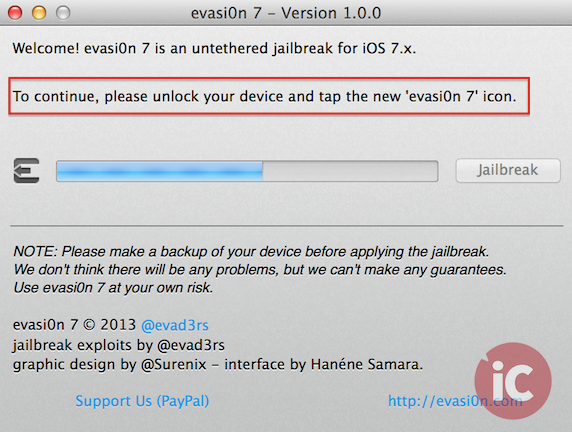 Those who follow our steps do so at their own risk. 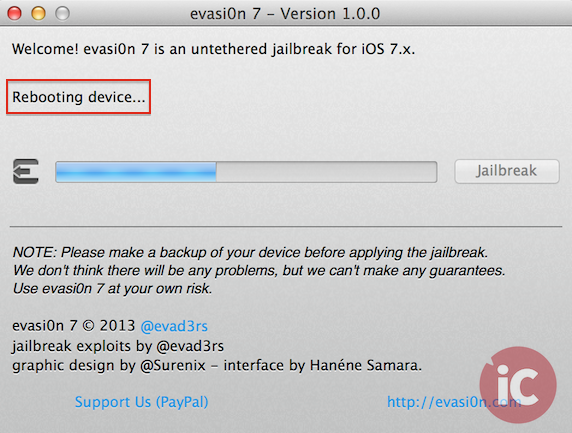 Backed up your iOS device using iTunes (or iCloud). 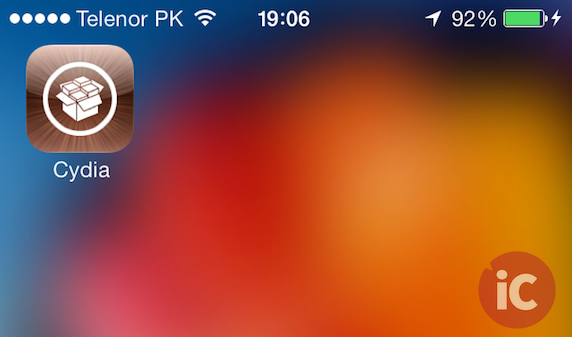 Disabled the lock passcode / Touch ID on your iOS device. Installed the latest version of iTunes on your computer. 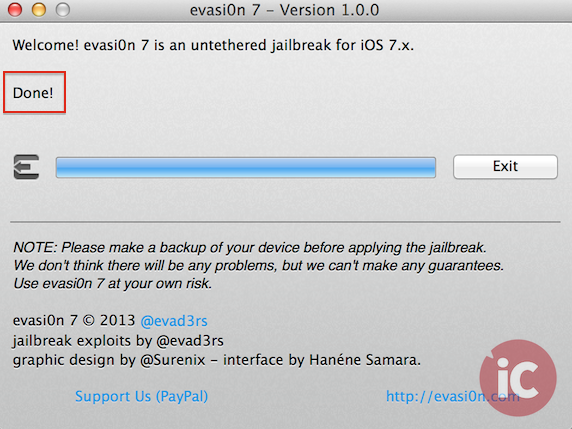 Downloaded the evasi0n7 jailbreak tool for Mac or Windows. 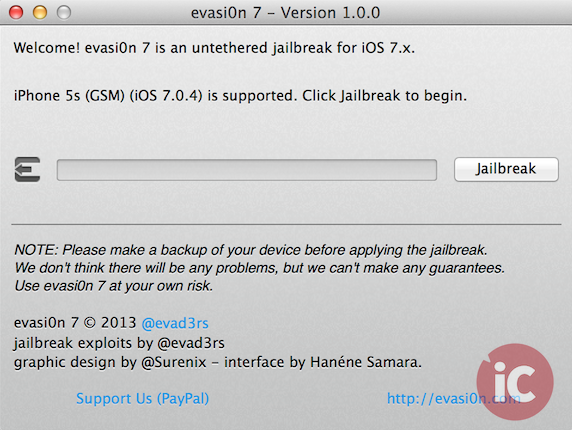 *Please note that the screenshots shown below are taken using a Mac computer. 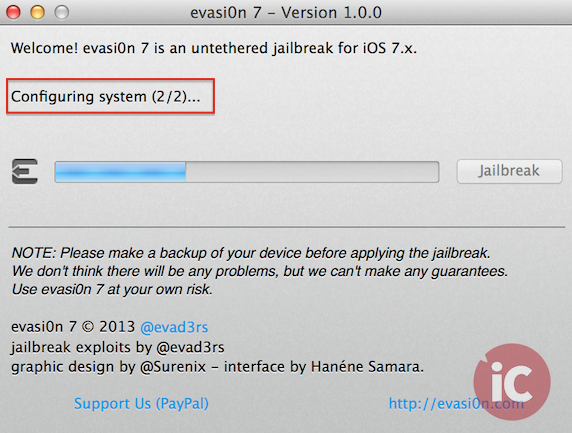 However, the steps should be pretty much identical on a Windows computer as well. 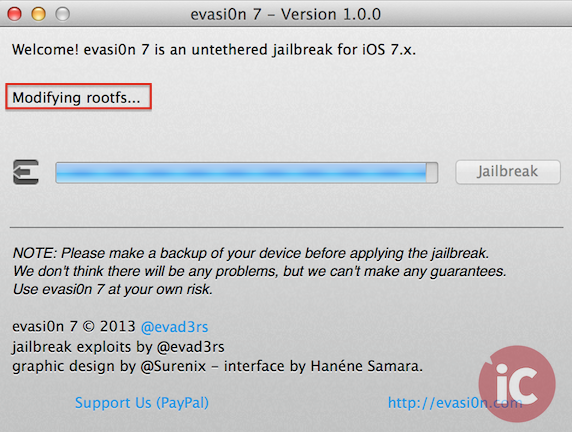 Once you have downloaded the Evasi0n7 jailbreak tool on your computer, exit iTunes on your computer (if running) and connect your device using the USB cable. 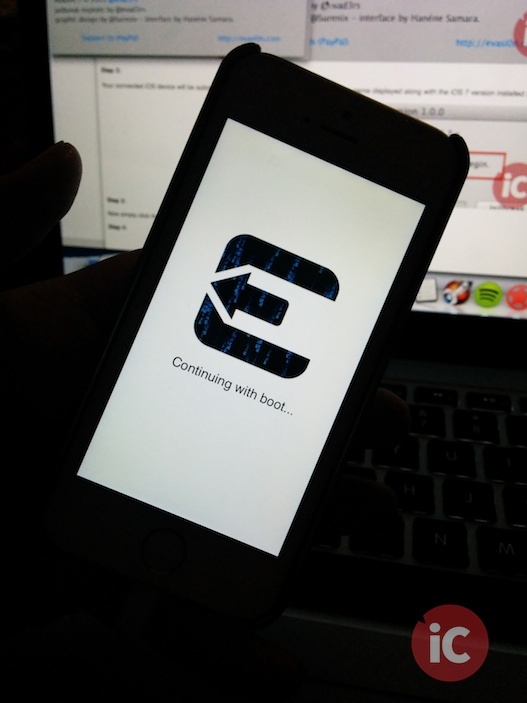 Your connected iOS device will be automatically recognized by the jailbreak tool, with its name displayed along with the iOS 7 version installed (see below). 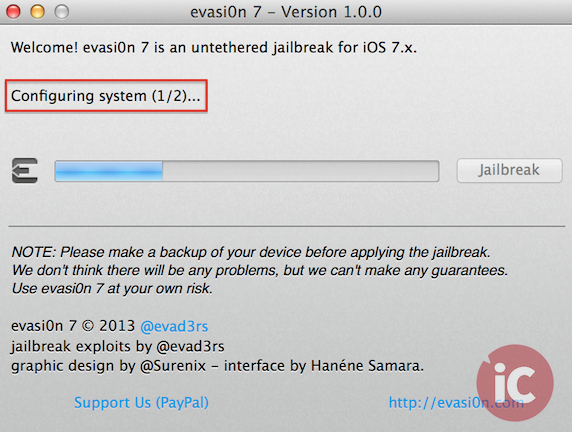 The jailbreak will then continue on your iOS device, after which it will reboot once again. 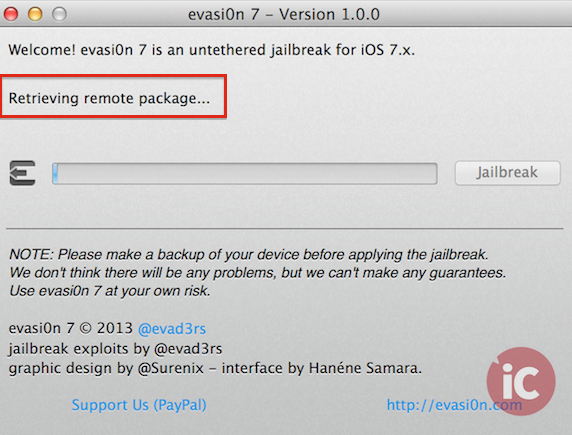 Once done, your device will reboot. 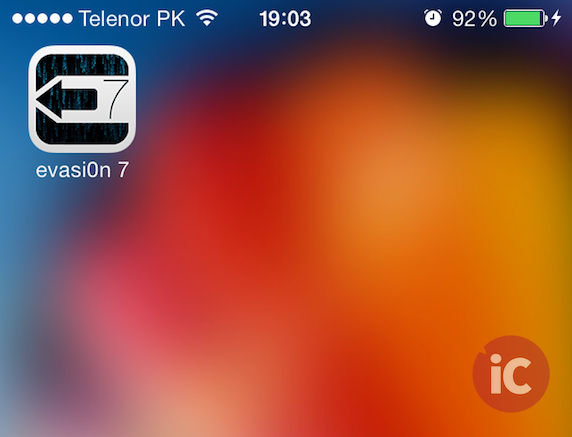 You should now have a Cydia icon on your homescreen, confirming a successful iOS 7 untethered jailbreak. 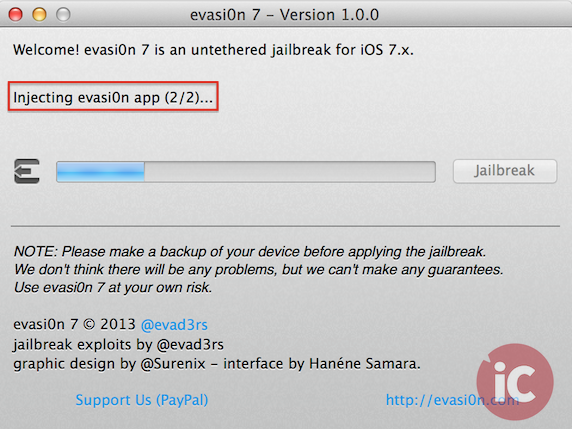 Please read this post for information regarding a bundled ‘pirated’ App Store with Evasi0n7.